Did Twitter and Microsoft accidentally tease Windows Phone users with a preview of the official Vine app that was recently confirmed as coming soon? It certainly appears so, going on a screenshot that accompanied the blog post announcing the revamped version of Twitter for Windows Phone, which was released today. 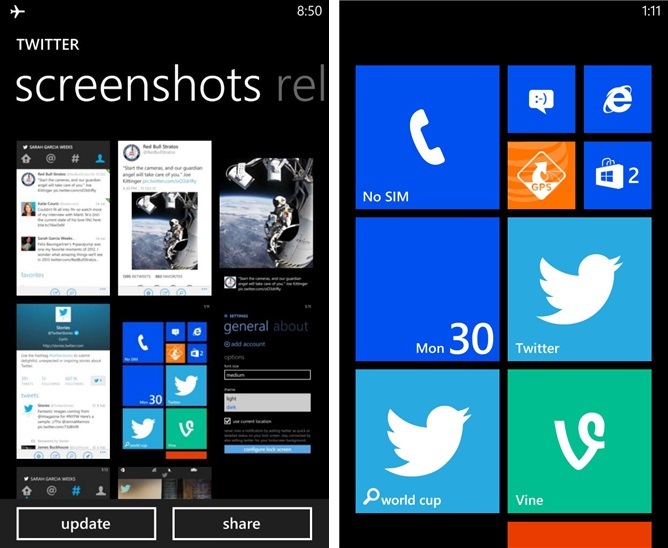 The post included an image that quite clearly shows Vine, the Twitter-owned short video service, installed on a Windows Phone device. The image has since been pulled, but it remains visible via the cached page. The screenshot is actually live in a number of country-specific Windows Phone app stores — including the Indonesian store — although it is not present in the US store. Accidental reveal or deliberate teaser aside, we’ve reached out to Twitter and Microsoft to see if either has more details to share at this point. Update: In an entirely predict chain of events, Microsoft tells that it has nothing to beyond Nokia’s announcement of the upcoming app. Twitter has not responded to requests for comment.